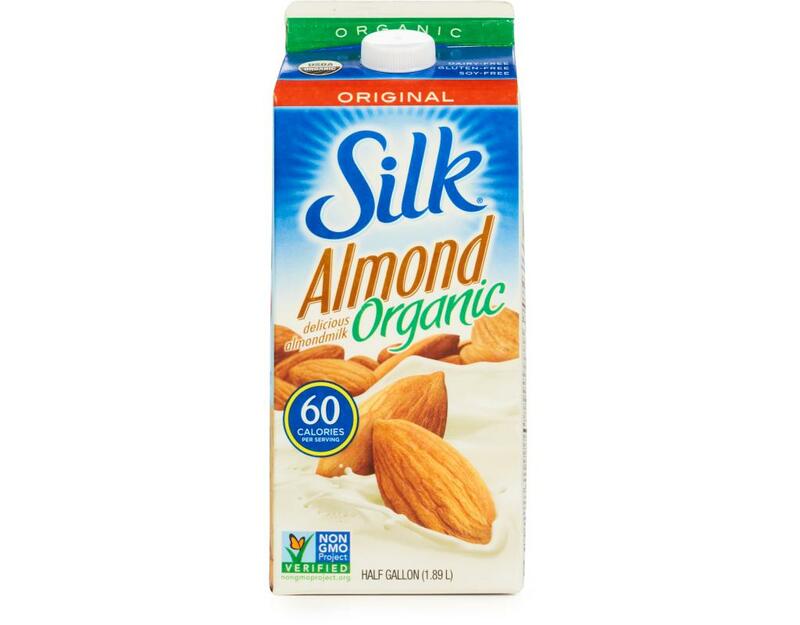 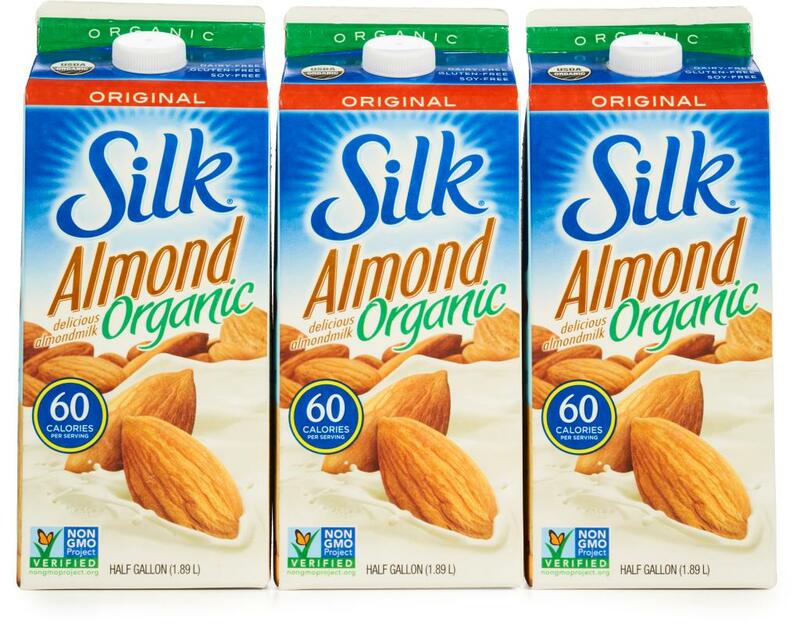 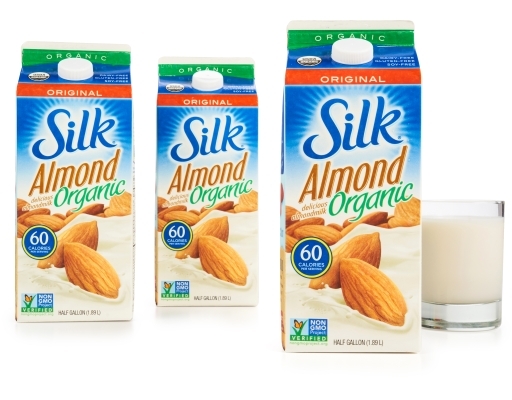 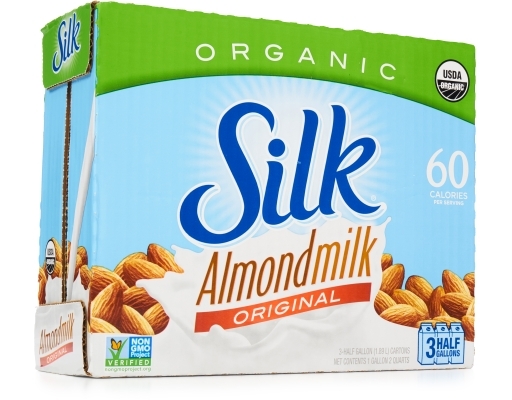 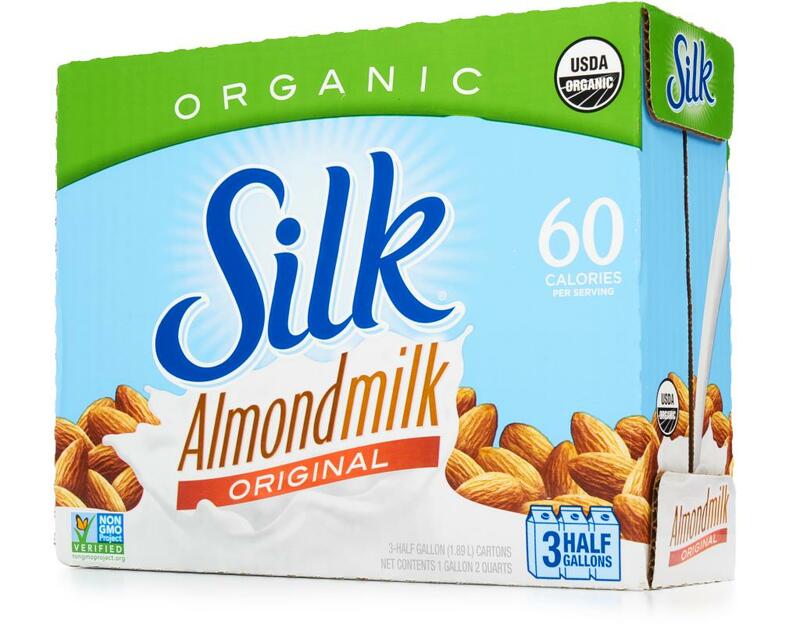 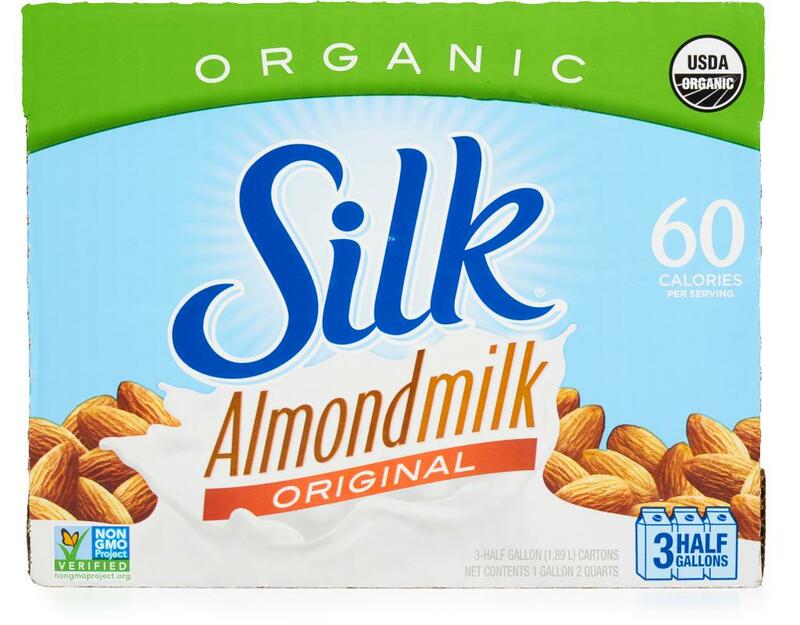 How will you enjoy the smooth taste of Silk Organic Original Almondmilk? Probably with a great big smile on your face! At a sensible 60 calories a cup, it’s delicious over cereal, in coffee, as part of a favorite recipe or served straight up in a glass. 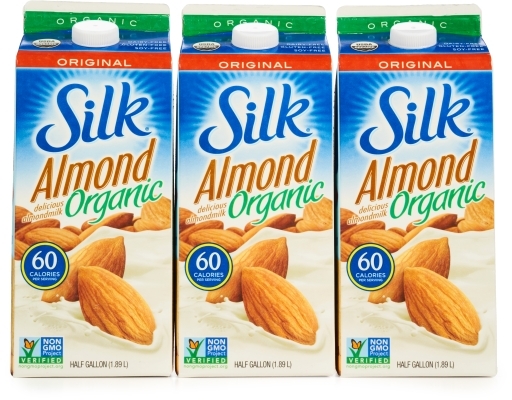 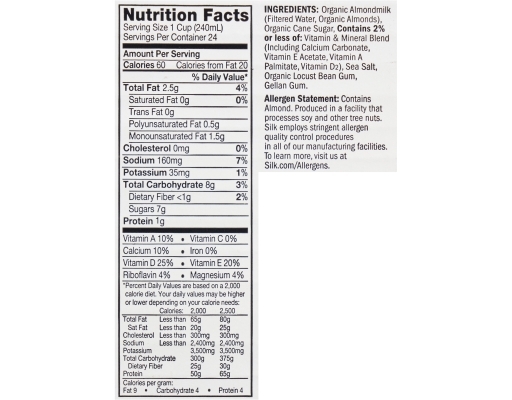 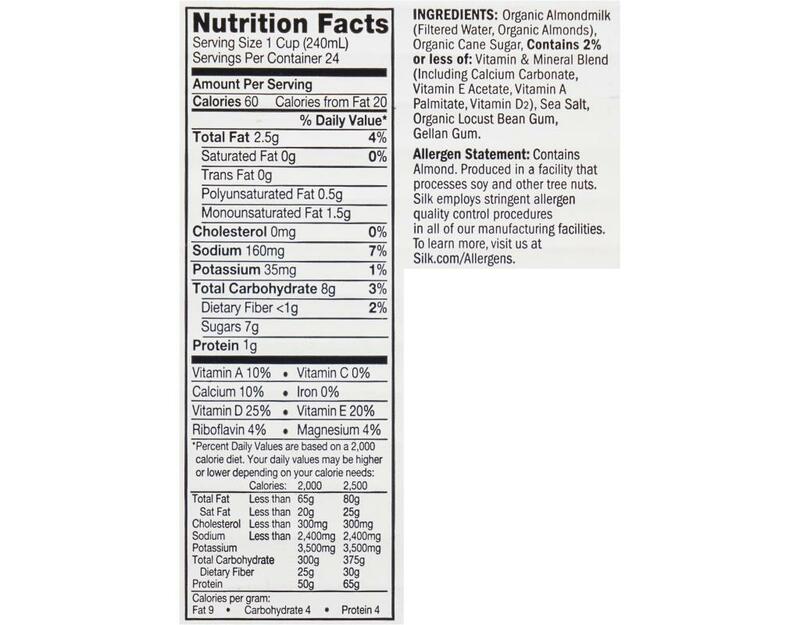 Organic Almondmilk (Filtered Water, Organic Almonds), Organic Cane Sugar, Contains 2% or less of: Vitamin and Mineral Blend (Calcium Carbonate, Vitamin E Acetate, Vitamin A Palmitate, Vitamin D2), Sea Salt, Organic Locust Bean Gum, Gellan Gum.